Thank you for your interest in hypnotherapy and A New Leaf Hypnosis. 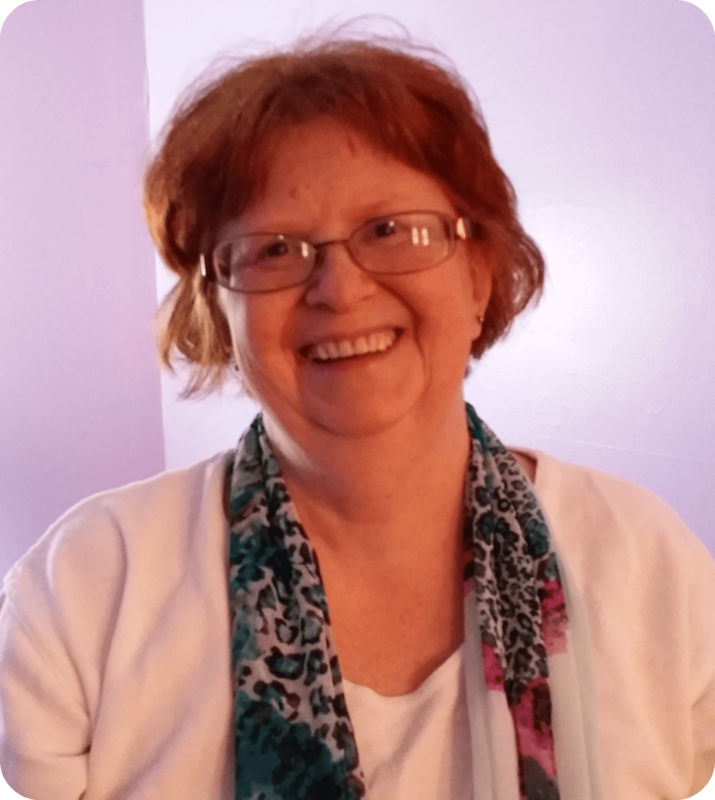 My name is Haven and I am the owner and sole practitioner of A New Leaf Hypnosis so if you make an appointment here, I am the person you’ll be working with. I’d like to share with you my story and how I came to become such a passionate and dedicated student and practitioner of hypnotherapy and NLP. When I was a young newly married woman and mother, I learned that my own mother, who was my constant source of strength and wisdom, was dying. I got this news shortly after my husband and I moved 3,000 miles from my hometown to pursue his career. We moved back to be closer to her, in a city 150 miles away, and she passed away within months of this move. Within two year’s time I had married, moved twice, had a baby and lost my mother. I didn’t know a soul in my new community, I had no job and no car, and my husband worked long hours. This is a classic set up for major stress, and in my case, this stress was expressed by fear. At first I was afraid to drive, later I was afraid to leave my home, but at the same time I was afraid to be alone. I was experiencing several panic attacks a day. When I became afraid to walk from one room to the next because standing made me dizzy and walking made my legs feel like rubber, I knew I needed help. I found a local psychiatrist who participated with our health plan. Naturally I had to be driven to my first appointment, and even leaving my apartment was traumatic. I remember that day as if it were yesterday, although in fact decades have passed. We spent the first 30 minutes on history and a discussion of why I was there, but in the last 20 minutes something strange happened. I agreed to be put into a deeply relaxed state, and while in that state (which I now know was a hypnotic trance) the doctor asked me to visualize a few things. I followed his instructions, although at the time they seemed very silly and I couldn’t understand how this could help me, but I was drawn into a very focused state of concentration and I was so completely relaxed that I found I enjoyed following his suggestions. From that day on my life changed. The very next day I walked from room to room while alone in my apartment with no trembling fear. I was able to care for my baby as I’d always wanted to. I went outside and took my baby for a stroll. After my second session, I was able to drive myself to his office in an outlying suburb! I wondered what kind of magic this doctor was working. Within a few months I was driving to an urban area taking night classes! My fears were completely gone and I felt that I could conquer the world. Twenty years later we moved again. Again I had no job, no car, and I was homeschooling two children because the new school my younger two children would have been attending was, I felt, a dangerous environment. Slowly the symptoms started creeping up on me. The panic attacks started again, and I found myself uncomfortable with even walking around the block. In desperation, I tried to find the psychiatrist who had treated me 20 years before, even though he lived 600 miles away. I searched the Internet until I found his contact information. He was no longer in practice, but when I asked him what modality of therapy he had used to create such a profound change in me, he told me that he had used a combination of hypnotherapy and NLP. WOW! From that moment on I read every book I could find on these modalities and when it was time for me to make a career change, I knew what I wanted to do. I wanted to become trained in hypnotherapy and NLP so that I could help people who are as lost as I was, effecting lasting and profound change. I went from someone who was unable to function in my day to day life, to someone who felt able to take on the world, after only 16 sessions. Does this sound like you? Please see my page on Fear and Worry to set up a FREE FACE TO FACE CONSULTATION. So if NLP and Hypnotherapy can tackle the big problems like mine, just imagine how much easier it might be to make smaller changes, such as weight loss, smoking cessation or the elimination of a single fear. Hypnotherapy and NLP changed my life, so I know it can change yours too. Learn more about me and A New Leaf Hypnosis on my Facebook Page.